Whatever the occasion, the Baracca Zermatt offers the perfect setting with a very special ambience. A corporate event, seminar, family anniversary, wedding, birthday, club dinner, interview, product presentation or yet another exclusive event? The Baracca Zermatt in Kloten provides a very special ambience for any occasion. A classic cheese fondue, a hot pot dinner with all our homemade supplements or maybe a delicious burger or cordon bleu? The choice is yours! The Baracca Zermatt can also be hired for exclusive events. Choose our unique mountain chalet from Zermatt, dating back to the 1950ies, to make your planned event truly exceptional. We would love to put together a custom-tailored offer for you, so that your visit to the Baracca Zermatt will be an unforgettable experience. Each day we are open you can hire our restaurant for your exclusive event at lunch- or dinner time, provided that there are not yet any reservations (exclusive, group or private) for this time. If you choose to make an exclusive booking of the Baracca Zermatt we will charge you with a fixed amount (minimum turnover) as the rent of the location. Of course this fixed rent can then be used for consumption. If the consumption at your event exceeds the minimum turnover, we won’t charge you any additional rent costs. In the case of a shortfall of the minimum turnover, we will charge the difference as the location rent. In the case of a shortfall of the minimum turnover, we will charge the difference as the location rent. Example 1 : You hire Baracca Zermatt Kloten for an exclusive event on a Thursday night in November. Example 2 : You hire Baracca Zermatt Kloten for an exclusive event on a Monday night in December. Example 3 : You hire Baracca Zermatt Kloten for an exclusive event on a Wednesday night in January. Example 4 : You hire Baracca Zermatt Kloten for an exclusive event on a Wednesday night in July. We would love to advise you ! Don’t hesitate to contact us and our experienced team will advise you without any commitment. 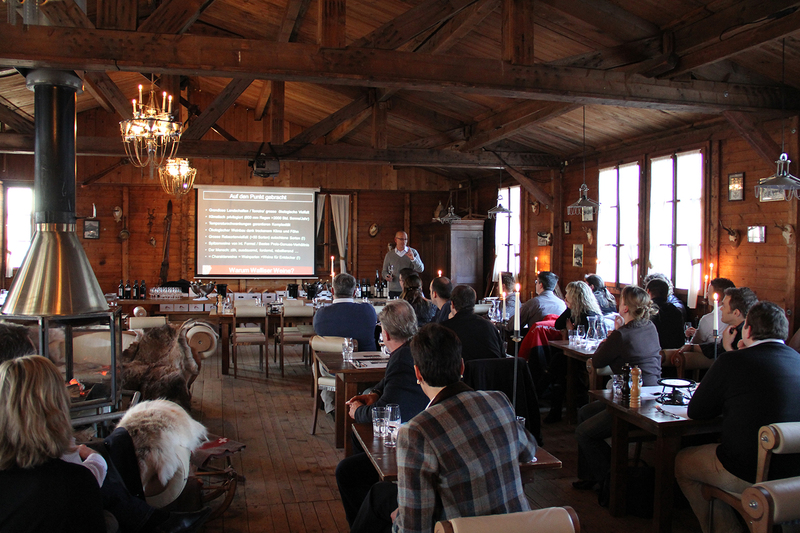 We would love to help you with the planning and execution of your event held at the Baracca Zermatt.